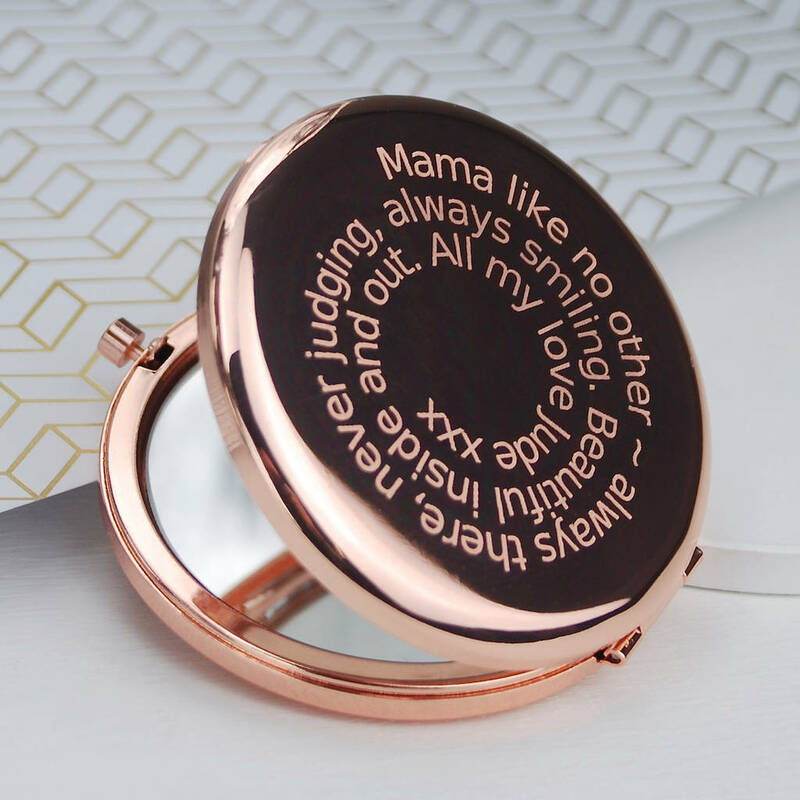 Exquisite Personalised Rose Gold Compact Mirror engraved with a message of your choice in a beautiful and unique spiral style. 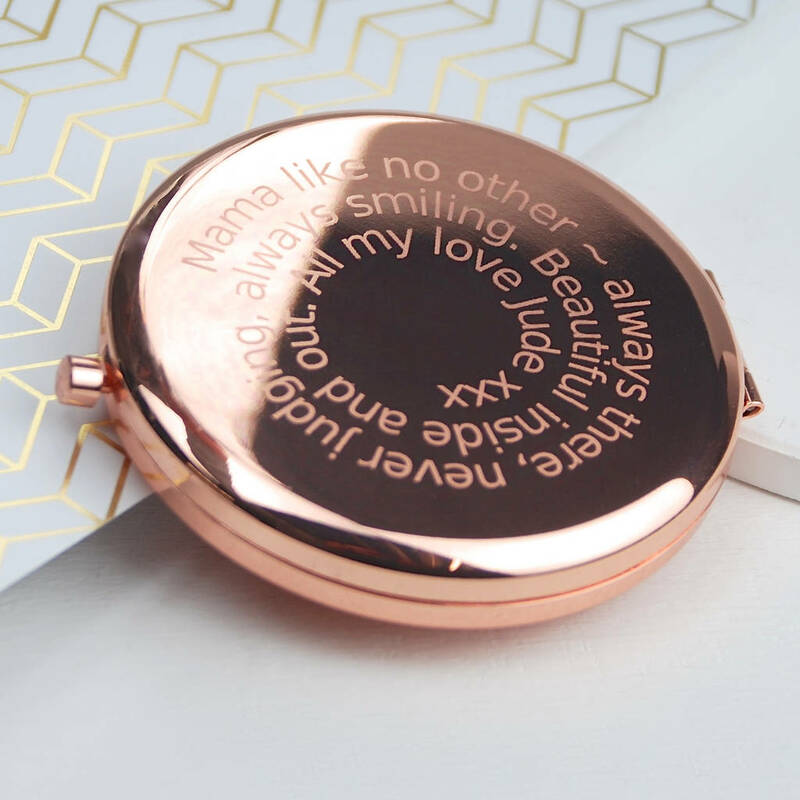 An unusual and tasteful token to tell any female how much you love her - and an especially perfect personalised bridesmaid's gift. 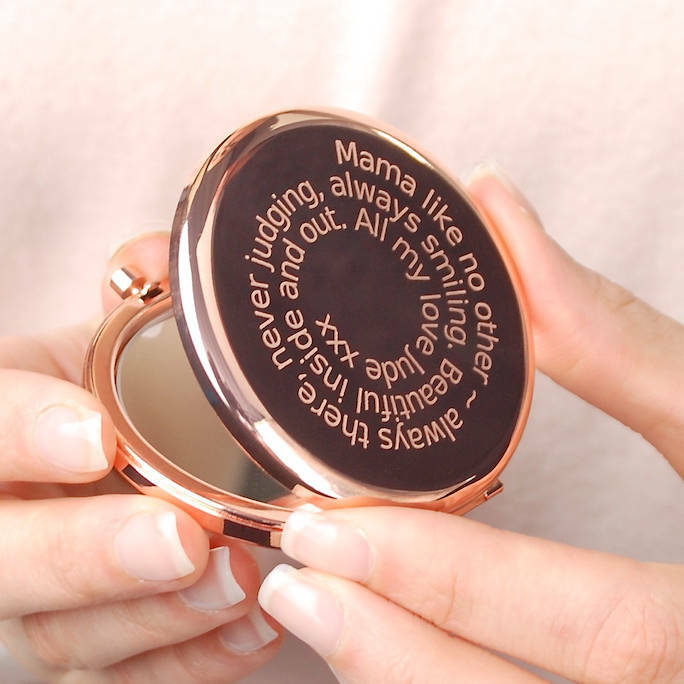 Share your appreciation of all they do for you by telling us what message you would like us to engrave for you in this lovely spiral text format, beautifully engraved for you by our master engravers. Our personalised compact mirror makes a lovely keepsake and is available in a choice of fonts and finishes. 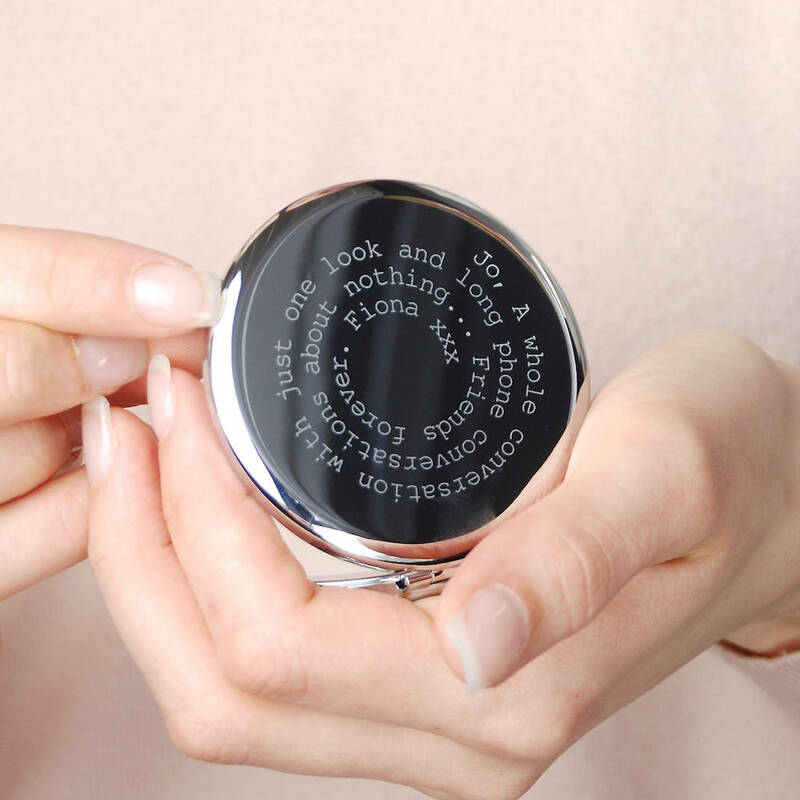 Featuring double mirrors inside, one of which magnifies, and a nifty press button opening. 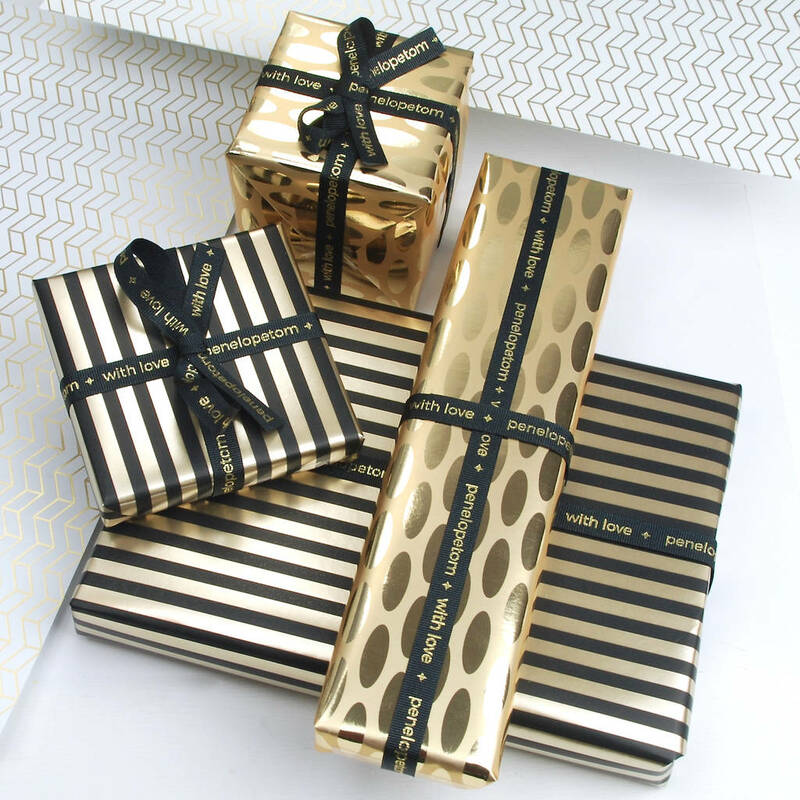 A truly lovely gift to be used and treasured. 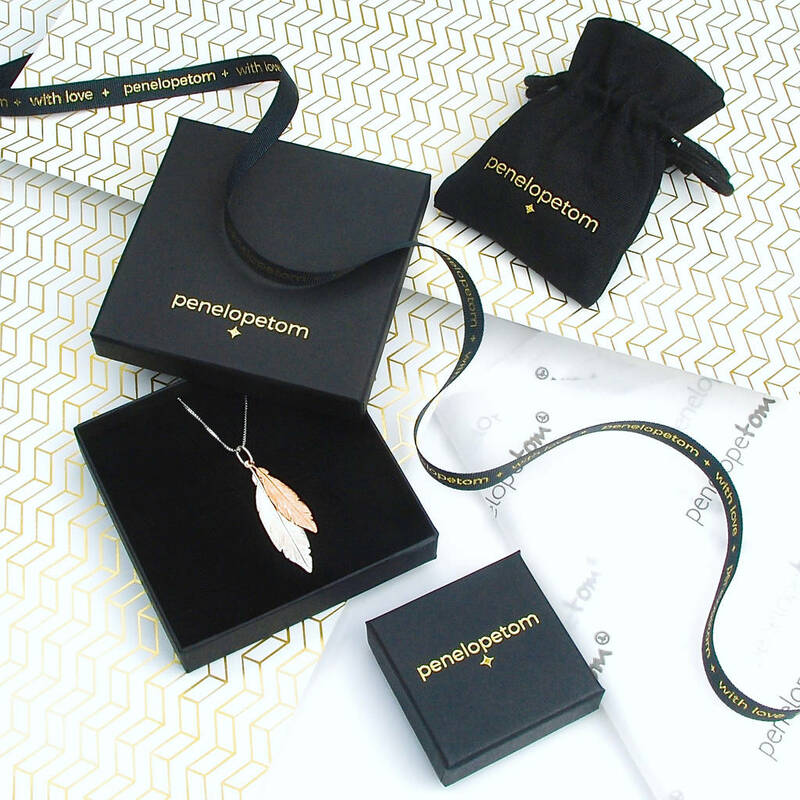 Beautifully packaged in crisp white tissue paper and a contemporary Penelopetom linen carry pouch. Rose gold or silver plated.